After creating your quote (FTL, LTL, Volume/Partial), the next step is to send your quote to the network partners so they can submit options. Now, deciding which network partner(s) to send a quote to can be a struggle for both users who deal with a few network partners and user who are dealing with a large network of partners. By the end of this article, you will learn how to send a quote to your network partners and how to utilize tags to select the correct network partners for the quote. you would like to send the quote request to. All selected partners will receive an email from requests@emergetms.com prompting the network partner to enter Emerge to submit an option. 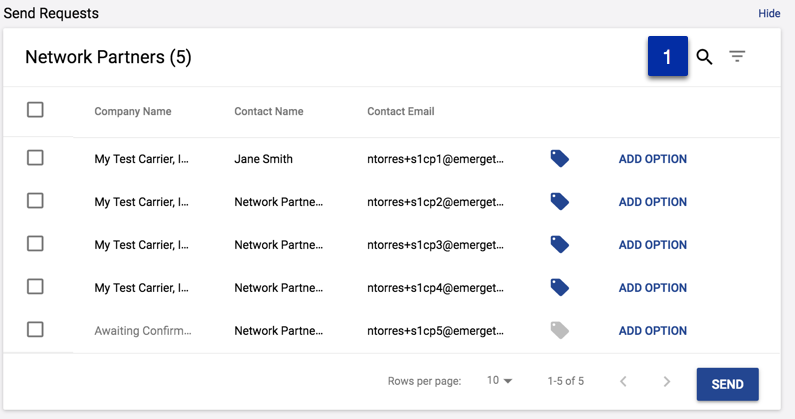 Stop having to manually sort your network partners and quit having to remember which partner runs one of your lanes consistently. Use the search feature and tags to quickly send out quotes like never before.